Contributors can be given the permission to create, edit, delete and share documents in the library. Being a contributor doesn't mean you can edit all documents in the library. Readers can be given the permission to read documents in the library. Being a reader doesn't mean you can read all documents in the library. 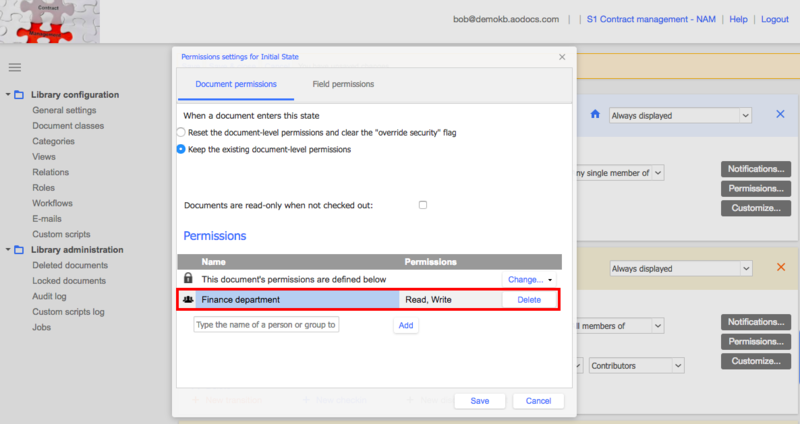 For each document, document system roles are automatically generated. A document system role contains only one person and can't be updated manually. Version Creators: these are automatically defined as users who creates the last version of the document. This role is dynamic. In addition to system roles, administrators can configure custom roles in the Roles section of the library administration interface.